In any medical profession, an efficient laundry system is a must for a clean and sanitary operation—and veterinary clinics are no exception. Continental Girbau's E-Series Laundry Equipment provides the perfect blend of efficiency and quality to ensure veterinarians and their assistants can focus on helping animals instead of being tied down by the laundry process. 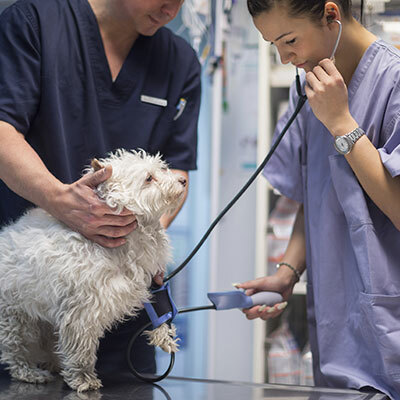 Similar to a human hospital, veterinary clinics must work hard to ensure disease doesn't spread from patient to patient. Just ask Jenna Resch, a veterinary assistant at Great Lakes Veterinary Clinic in Neenah, Wis. “Before we switched our laundry equipment, the soiled laundry sat in the supply room for days and began to smell—it was very unsanitary and a prime area for bacteria to grow,” she says. Its soft-mount design and durable construction allows high-speed extraction up to 387 G-force. As a result, the E-Series commercial washer extractor can ultimately cut dry time by up to 65 percent over some top-load washers. By removing more water from each load, towels and bedding dry more quickly, which means vet technicians don't waste time doing laundry. Saving water, electricity and gas has never been more critical to vet clinics especially those in locations where resources are costly. The 20-pound capacity E-Series commercial washer extractor uses nearly 57 percent less water than most top-load commercial clothes washers—saving approximately 20 gallons of water per load. In turn, sewer and water heating costs are significantly reduced. Vet clinics dependent on holding tanks or septic systems can cut wastewater considerably using E-Series commercial washers, and in doing so, save on wastewater removal fees and prevent septic over-loading. The E-Series commercial washer extractor's programmable controls are key to delivering superior cleaning performance and enhanced laundry productivity. The user-friendly control can be customized to properly wash towels, bedding, blankets, surgical rags and more… This ensures each load is properly cleaned and decontaminated. The washer features the Logi Control, which offers eight individually modifiable programs—each with up to nine baths including multiple pre-wash, wash and rinse cycles. Variables within each bath can also be individually programmed for maximum efficiency given the load type, including wash temperature, water levels, cycle times, rotation and G-force extract speeds. E-Series automatic chemical injection simplifies and quickens the wash process. It also ensures that nasty hazards, like parvovirus, are eliminated using the right combination of water temperature and chemicals. Through the consistency of automatic chemical injection, it doesn't matter who does the wash because everything is preprogrammed – even adding the detergents, bleaches and softeners. Just load and go! The E-Series commercial washer offers a freestanding design that fits easily into spots previously occupied by water-guzzling toploads. No bolts or concrete foundations are needed, allowing for quick, inexpensive and easy installation. Single-phase power means these industrial machines plug into a typical electrical outlet.